I have written before about the problems I had with my Shimano 3 speed shifter and also the later problems with the hub which was ultimately replaced under warranty. Once that happened everything worked perfectly and I have even resumed using my basket (though I don’t think it was the cause of the problem), with the cable tied so it does not catch in the basket as you can see above. Then one day a few weeks ago, my bike fell over while I was unlocking it and getting my gear ready, and even though it fell onto the left hand side, the side away from the shifter and the adjustment window on the rear wheel, it has knocked the shifter which does not work as well as it did prior to this fall, though I can still get all three gears, which was not the case when I had these problems before. Now it just does not change gears as smoothly and has a few times jumped a gear, going from first to third, though this problem seems to be gradually resolving itself. 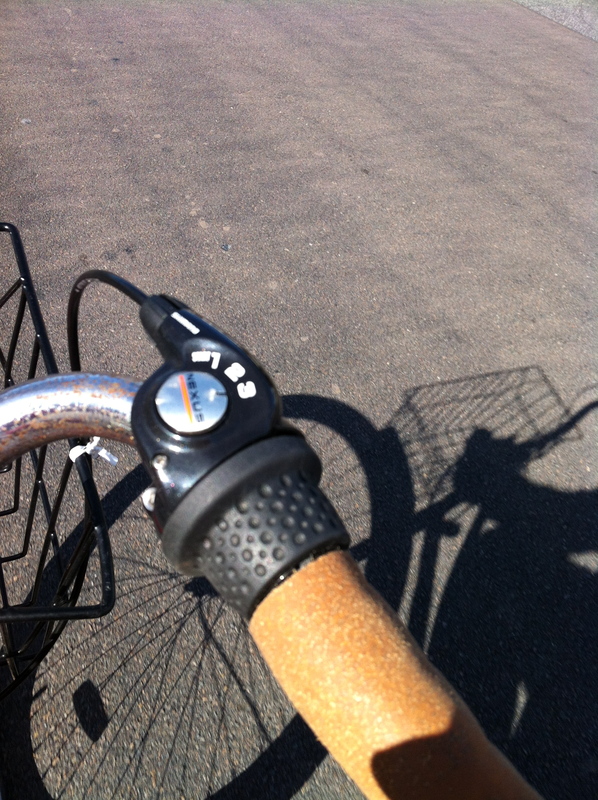 The shifter appears to be fine, as it did last time, and there is no visible evidence of damage to it. I do not know what to make of it, it just seems that the whole shifter mechanism is quite delicate and easily knocked out of adjustment. The hub is fine and the yellow adjustment tab in the adjustment window indicates that all is well there, as it did before when I could not get first gear. This entry was posted in Uncategorized and tagged restoration, Shimano nexus 3 speed, speedwell. Bookmark the permalink.